The YWCA of Asheville Stand Against Racism is underway, with events happening this month and into May. The Stand Against Racism is a nationwide YWCA campaign to raise awareness that racism still exists and that it will no longer be ignored or tolerated. There is still time to sign up to participate. 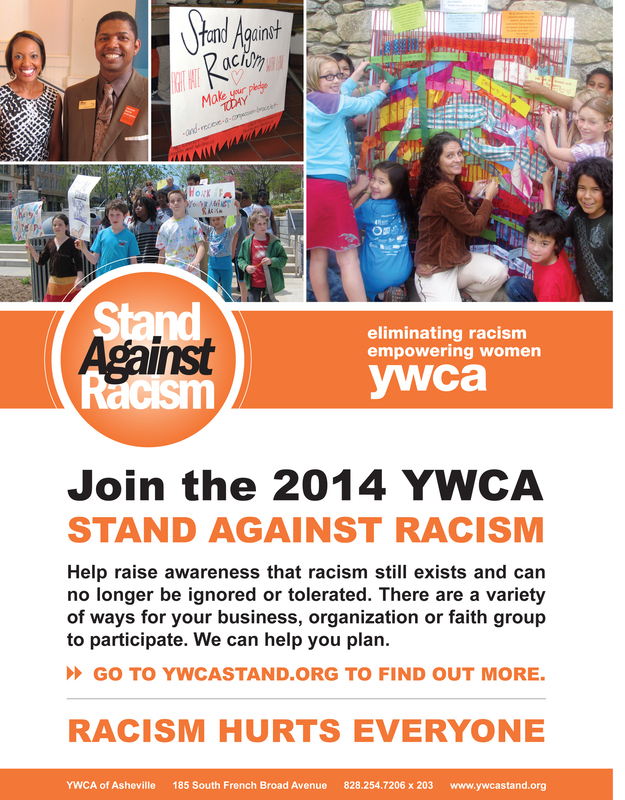 Go to ywcastand.org for more info, a calendar of events and to sign up. You can email angel.redmond@ywcaofasheville.org with questions.